Alfagomma is a company that specialises in the manufacture or production of hydraulic handling systems that enjoy a wide range of industrial application. 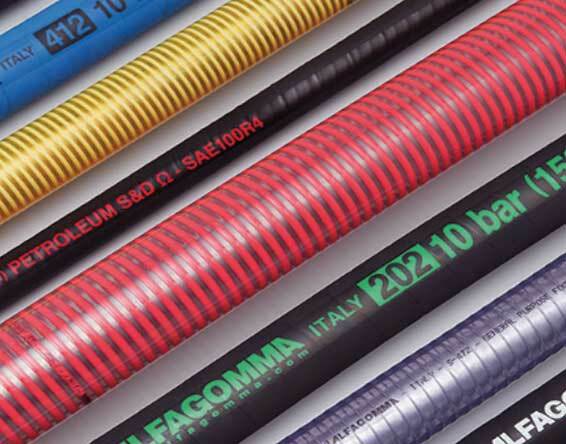 Some of the products may include hydraulic fittings, hydraulic rubber, hydraulic adapters, manipulated tubes, plug-in connectors, industrial fittings, industrial hose assemblies, thermostat hoses, composite hoses, hose guards, and steel corrugated hoses among others. The products manufactured by this company are meant to serve various industries, including shipbuilding, mining, agriculture, petrochemical, and oil and gas industries across the world. Founded in 1956 with its headquarters in Vimercate, Italy, the company has expanded and opened another subsidiary in Sao Paulo, Brasil. The power fluid & transmission market recognises Alfagomma as a global leader and player in related matters. The company’s commitment to continuous improvement and a razor-sharp focus on R&D is evident in its consistently innovative products. Its quality management system ensures that products meet certain set standards. 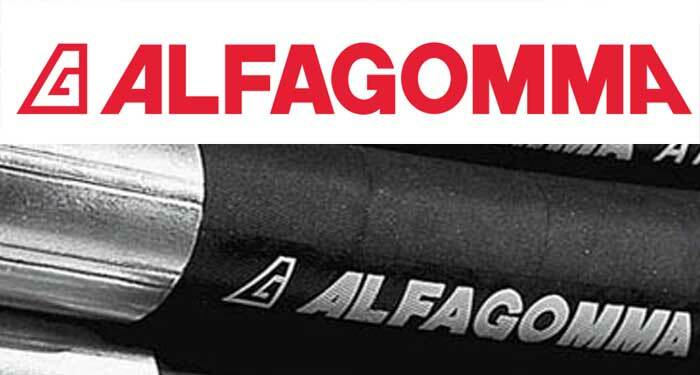 The Alfagomma group also boasts a diverse distribution network covering at least 100 countries and offering a range of high-quality hydraulic components and products. From industrial hoses and fittings to manipulated tubes and assembly hoses, you can be sure that you will find the hydraulic accessories you are looking for. The group’s mission is to deliver high-quality performance parts that adhere to the set international standards and meet a range of end-user specifications and requirements. The company prides in building long-term collaborative relationships that are mutually beneficial. These non-opportunistic relationships have enabled the company to develop a solid network of loyal customers who would not hesitate to bring in more business through referrals. With a proven track record of customer satisfaction backed by decades-long meaningful partnerships with global industry players, they can be confident enough to assure customers of consistent quality supported by a commitment to continuous improvement. 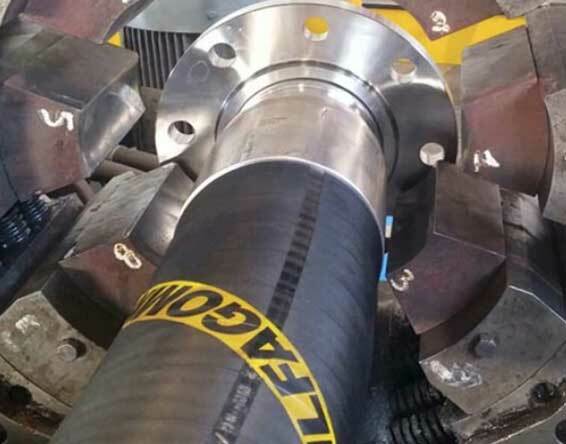 Alfagomma is proud to have a range of high-quality hydraulic components and accessories that are suited for onshore as well as offshore applications. It relies on its R&D department and cutting-edge technology to guarantee high-quality components developed using state-of-the-art technology and solutions specially designed and specifically targeted at particular industrial applications. Whether you are in the petrochemical or oil and gas industry, you will find product innovations for your specific industrial application. The company’s products are delivered with relevant testing reports and applicable quality certificates to guarantee quality and provide the customer with the much-needed peace of mind when dealing with hydraulic products, components, and accessories. Due to the highly demanding manufacturing and testing processes, the company has beefed up its quality control aspect by scrutinising every product and ensuring it conforms to specific industry standards and company policies. That way, Alfagomma can assure customers of high-quality products that also measure up to environmental regulations and norms. The company also partners with highly reliable manufacturers of hydraulic components like Completely Hydraulic, a top UK distributor, to deliver quality product offerings. For decades the company has specialised in the design and manufacture of a range of hydraulic components and parts to serve consumers’ diverse needs.